How Does the asTech2 Benefit Vehicle Owners? The asTech2 remote scanning device provides a number of benefits for repair professionals and customers alike. 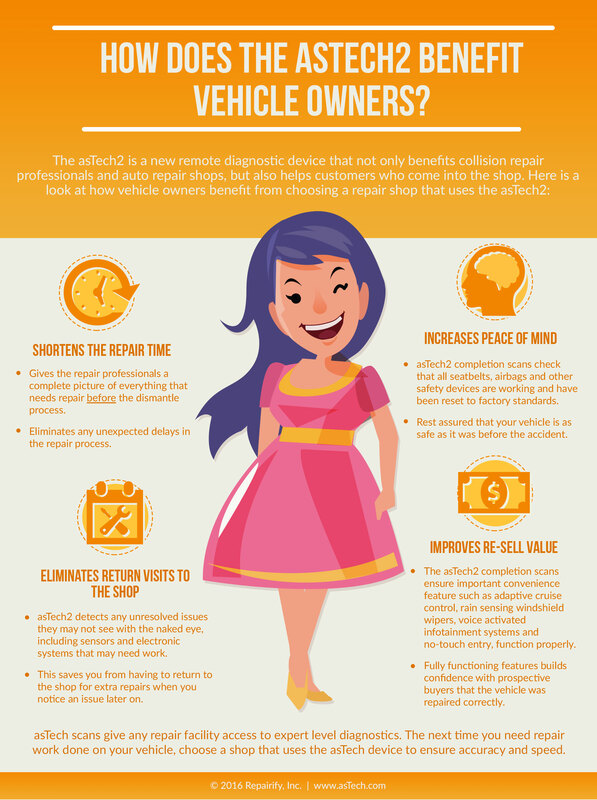 This infographic gives some insight into how customers benefit from choosing a repair professional who uses an asTech2.